October 30, 2018  In his warm, worn tone, David Bazan returns to Pedro the Lion in a song that connects childhood to lessons learned over a lifetime. October 30, 2018  This week on the show, we hear from artists who find ways to celebrate life no matter how broken it may be. July 9, 2018  David Bazan brings the downcast indie-rock banger to its raging crisis. 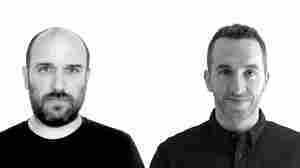 In the process, he resurrects the sonic sphere of Pedro the Lion. February 25, 2018  Before his indie rock band Pedro the Lion dissolved in 2006, David Bazan had been questioning his relationship with God. Now, he's back touring and working on a new album under the old moniker. 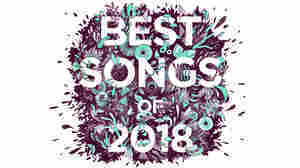 December 27, 2017  The final track on David Bazan's enveloping 2017 album, Care, is the story of an intimate relationship told over decades. June 21, 2017  Recorded in two weekends with the intention of just hanging out, the debut from members of Pedro The Lion and Starflyer 59 is a lean rock 'n' roll record. 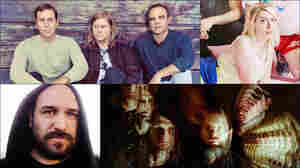 February 7, 2017  On this week's All Songs Considered we've got everything from effervescent pop to Polish ambient music and Japanese psych-rock. 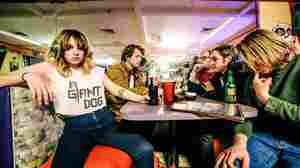 June 14, 2016  Hear new music by A Giant Dog, Vic Mensa, Michael Kiwanuka, Ryley Walker and more in June's mix of public-radio favorites. December 27, 2011  "Wolves at the Door" tells grim stories, but it's rooted in the spirit of forgiveness. 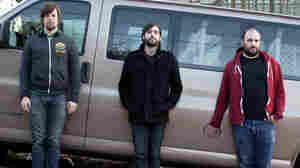 September 20, 2011  Bazan calls the Nevermind song "hymn-like" in thinking about his own live cover version from 2000. May 24, 2011  The singer was once known as the first crossover Christian indie-rock musician. 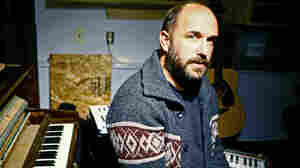 His band Pedro the Lion sold hundreds of thousands of records. But then Bazan began questioning the God he grew up with and sang about — and alienated many of his fans in the process. 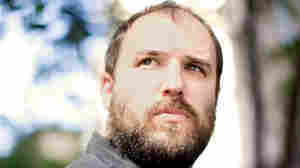 April 28, 2011  David Bazan, the brooding, gifted poet behind the now defunct indie-pop group Pedro The Lion, will release his second solo album next month, called Strange Negotiations. Hear a sneak preview. October 15, 2009  Bazan's Curse Your Branches has already been compared to the work of Leonard Cohen. Amid melancholic arrangements, the disc finds Bazan detailing his struggle with faith in the Evangelical world. In this installment of World Cafe, Bazan gives a moving performance of songs from the new album.